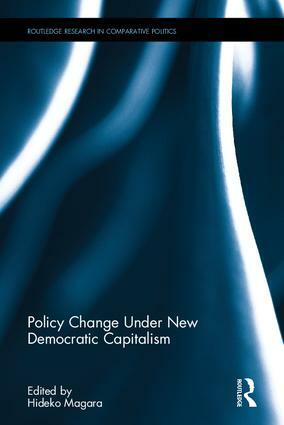 In Policy Change Under New Democratic Capitalism Edited by Hideko Magara, Chapitre 10,Routledge, , 2017, p. 202-222.
Review of Political economy, Vol. 27, n° 4, October 2015, p. 481-517. A number of contemporary paradoxes warrant explanation. First, in China, economic development has reduced poverty but dramatically increased inequalities. Second, the finance-led growth regime of North America has brought about a rupture with the Fordist Golden Age, causing a surge of inequality because of quite specific spill-over effects from the economy to policy. Third, the Eurozone crisis is often perceived as reflecting the limits of welfare states and the ideal of social equality, but some countries continue to exhibit an extended welfare system, moderate inequalities and a dynamic innovation and production system. To explain these paradoxes, this article applies a socio-economic approach based upon the concept of inequality regimes. Conventional interpretations stress the universality of the mechanisms that widen individual inequalities within each nation-state but reduce the hierarchy of national standards of living. This analysis, however, concludes that China, North America and Europe do not follow the same trajectory at all, since they have developed contrasting regimes of inequality that co-evolve and are largely complementary at the global level. This suggests an alternative to the hypothesis of an irreversible globalization of inequality.